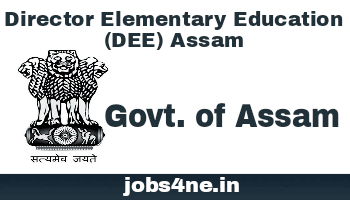 DEE, Assam Notification for Writing Ability Test and Computer Test for Junior Assistant. - Jobs4NE : Jobs in Assam and North East India. DEE, Assam Notification for Writing Ability Test and Computer Test for Junior Assistant. It is for information of all concerned that the candidates bearing the following Roll Nos. who have already qualified in the Written Examination pursuant to the DEE, Assam advertisement No. EAA/SIU/Esstt./7/2014/ Pt.-VIII/ 57 dated 15/10/2015, are hereby requested to attend for the Writing Ability Test and Computer Test at the time and venue as mentioned below. Date : 27th August, 2017. Venue : Gopal Boro Govt. HS School, Dispur, Guwahati - 06. Time : 11:00 AM to 12:30 PM. Date : 28th August, 2017. Venue : Assam Electronics Development Corporation Ltd. (AMTRON), Industrial Estate, Bamunimaidan, Guwahati-21. 1. Copy of Registration of Online Application. 4. Candidates are not allowed to carry any electronic device including Mobile Phone etc. if detected the candidature of the candidate will be cancelled immediately.